Cycle Oregon in 2011 . This story is by Ashley Baker, a graduate student in Journalism at University of Oregon. This is her first contribution to BikePortland. On a January morning in 2011, Carolyn Jen woke up terrified. We actually wear bike shoes more often than boots. Maria Schur (a.k.a. 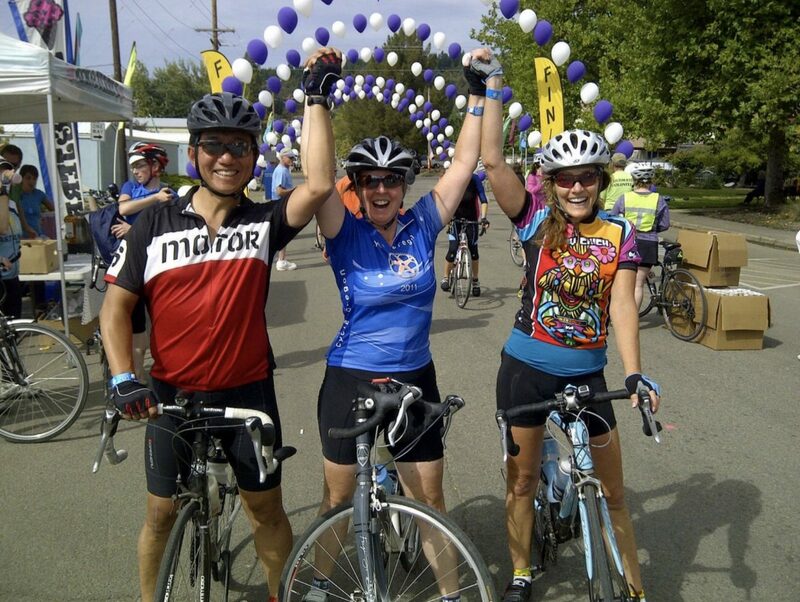 “Bicycle Kitty“) is active in our community as a ride leader and bike industry employee. 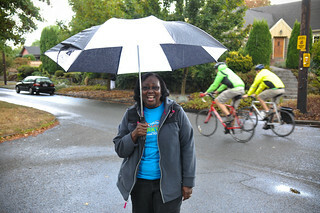 Her last post on BikePortland was about her participation in the Ride to Defeat ALS. Cooler temperatures, golden school buses and colorful leaves can only mean one thing – it’s almost time for Portland Society’s Boot Camp! We’ve come to call it Bootless Camp, because it’s more of a relaxing retreat than a workout-a-thon. What is the Portland Society? According to our website, we’re Badass Biking Babes. 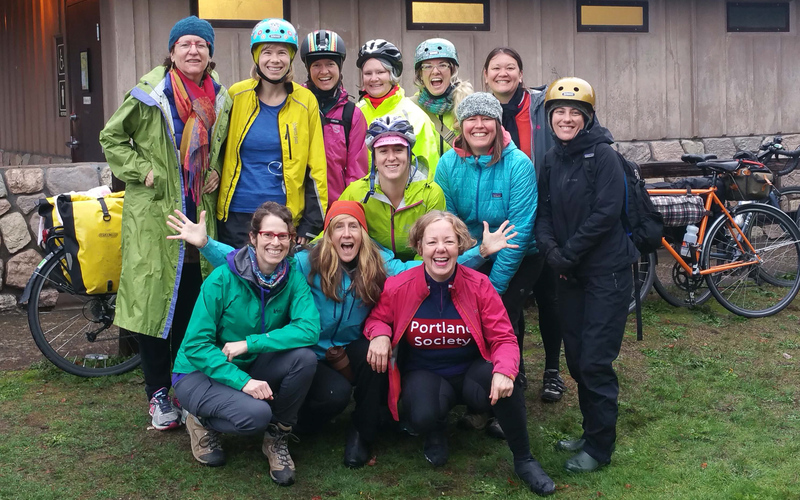 To put it more succinctly, we’re a membership organization of female-identifying cyclists in Portland, Oregon who work together to support each other through referral, education and community. Portland Society has become so much more to me than its mission statement of making Portland a better place to live and ride. What started as a networking group has become a club of bikey friends who empower and uplift each other. 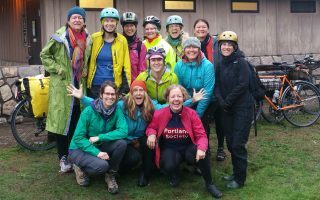 Unlike many bike shops, River City Bicycles in southeast Portland has long had a reputation as a place where women feel safe and welcome. In 2008 the shop was named the most “female friendly” in the nation and they have sponsored many top women racers. Now the shop wants to use mountain biking as a vehicle to help women build confidence — both on and off the trails. 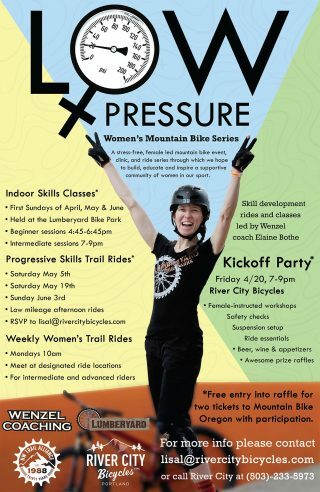 Their “Low Pressure Women’s Mountain Bike Series” is described as, “A stress-free, female led mountain bike event, clinic, and ride series through which we hope to build, educate and inspire a supportive community of women in our sport.” The series will include weekly practice sessions at The Lumberyard’s indoor bike park, on-trail clinics and weekly rides. There’s a launch party at the shop tonight (4/20) from 7:00 to 9:00 pm. With help from Elaine Bothe of Wenzel Coaching and shop staff, River City is opening this LGBTQ+ friendly initiative up to all levels and all ages (sixth grade and over) of riders. River City’s Lisa Luna told me this week that she put this together to encourage “positive self-talk” and to build women up from the inside. 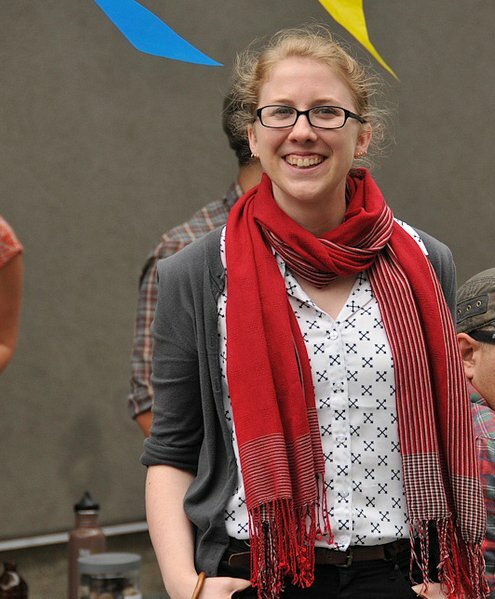 Katrina Johnston-Zimmerman at Portland’s Parking Day event in 2013. Katrina Johnston-Zimmerman is putting what she learned in Portland to very good use: addressing the sexism in urban planning and helping women take leadership roles in how our cities are designed. Johnston-Zimmerman, an urban anthropologist with a Master of Urban Studies degree from Portland State University (and who shared a guest article here on BikePortland in 2013), moved to Philadelphia a few years ago; but not before cutting her teeth on local activism efforts like Better Block and Parking Day. Back in 2012 I worked with Johnston-Zimmerman (and two others) on a project for GOOD Magazine where we envisioned a Portland where bicycling was just as easy as driving or taking transit. Those projects were just the start for Johnston-Zimmerman. She’s also founder of the THINK.urban consulting firm, part of the tandem (along with fellow urbanist Kirsten Jeffers) that hosts the Third Wave Urbanism podcast, and one of the driving forces behind the Women Led Cities initiative. 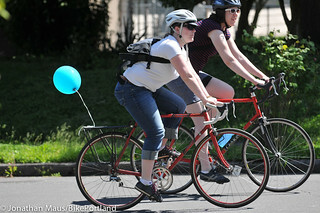 The Bikin’ Betties of Portland. The community of people who love bicycling in Portland is always changing and evolving. As someone who watches over it everday, I’ve noticed a nice trend of late: A proliferation of riding clubs devoted specifically to women. It’s a very encouraging sign and a testament to the depth and breadth of who’s riding bikes in Portland. Statistically speaking (as of 2014), women make up about one-third of Portland’s daily bike traffic citywide; but you wouldn’t know that if you could see my social media timelines and inbox. Just since the start of summer I’ve learned of several new groups. 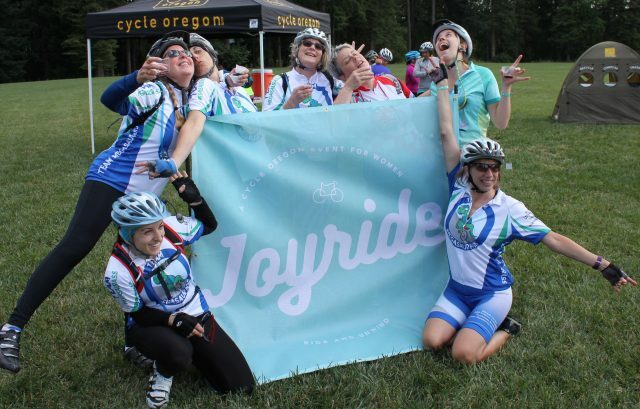 Add them to the existing foundation of clubs and initiatives aimed at women on bikes and you’ve got a connected network where nearly anyone can find a home for their biking passions. If you’re looking for a supportive place to meet other riders, check out the info below. From bikepacking to business, there’s something for just about everyone. Bikin’ Betties is a ladies-only bike ride on Monday nights. It’s a great way to meet fellow female cyclists, get a bit of a workout, learn awesome bike routes around our city, and become more skilled and confident on our bikes. Anyone who gender identifies as a woman or who is gender non-binary is welcome. Find them on Facebook. You can also join them for a special, culinary-themed ride to the “Black Feast” dinner on September 10th. Maybe it was the wine? This post is by columnist Kate Laudermilk. In April, Cycle Oregon’s Chris Knott e-mailed me asking if I would like to cover the first ever women’s only Cycle Oregon ride. At the time, he informed me that they had exceeded their original goal of 250 sign-ups and were at 620. 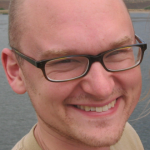 After visiting the ride’s website, I could tell why so many women were enticed. Wine tasting? All local catered lunch and rest stop snacks? Massage therapy and acupuncture? Yoga? Live music? Widmer beer? AND bike riding!? SOLD! modeled on ones in DC and Philadelphia. 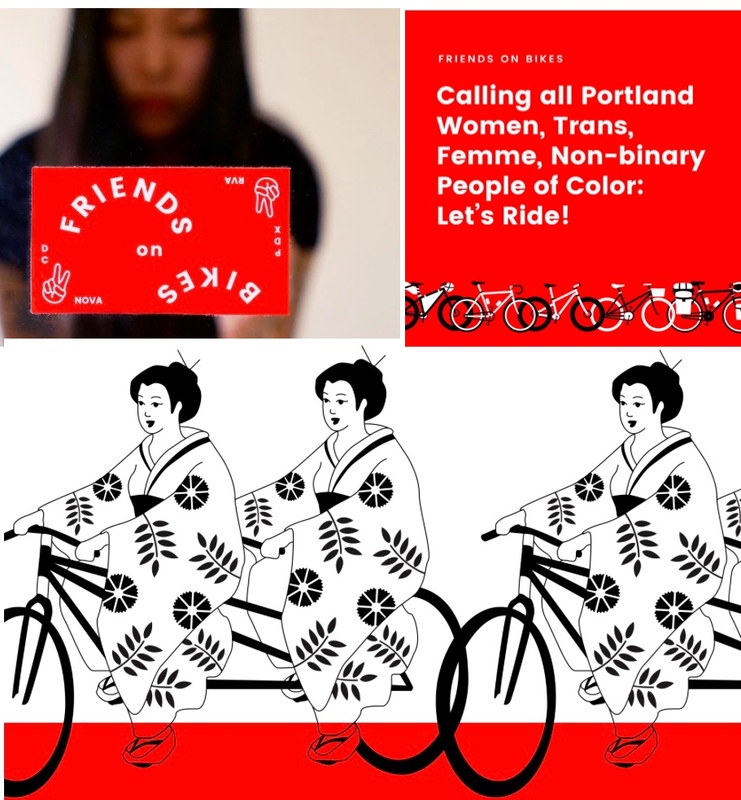 With companies and groups for female bike users popping up across the Portland area, the Bicycle Transportation Alliance has launched a new program aiming to stitch together their social scenes. From the women’s cyclocross course at Gladys Bikes to the women and trans wrench night at the Bike Farm to the mom-focused Andando en Bicicletas en Cully club to the Ride Like a Girl training program, lots of Portland-area bike lovers have been throwing themselves into making it easier and more fun for women to ride. Thanks to a new grant from Metro, the BTA now has a half-time staffer to support those efforts and build other such networks of women who bike. The advocacy group’s first Women Bike commute clinic is tomorrow (8/20). A volunteer “Superhero” in action. 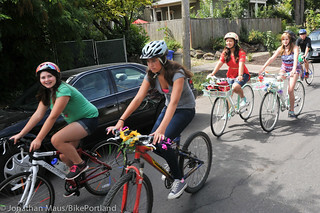 Sunday Parkways, the series of summertime open-streets festivals that starts next month, runs in large part thanks to volunteers. Today we noticed an interesting angle in a recruitment pitch for those volunteers.